We understand that if you select us to be your partner in establishing your presence on the web, you'll be giving us a chance to show you our love of what we do and how we can put it to use for you. Along with this passion and love, here's "The Difference" that sets us apart from the crowd. It depends.. on the screen. We help you reach your audience on the go. 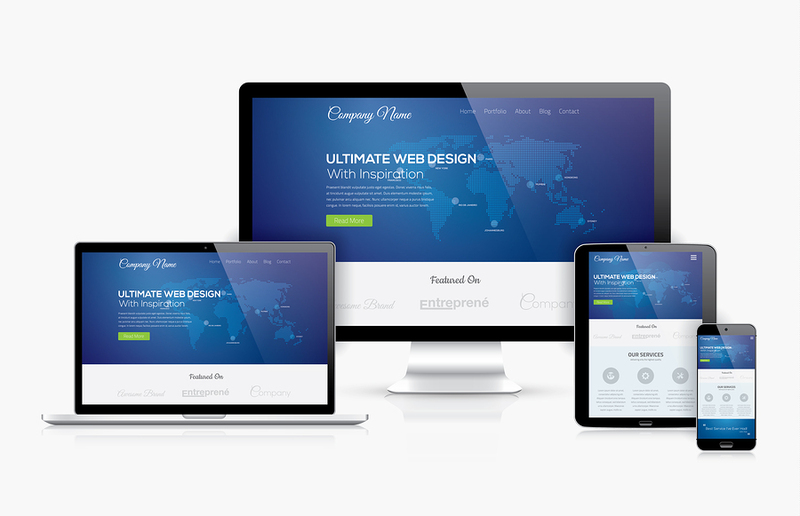 Each website we build that looks stunning on your computer screen, will look equally good and be readable on a smartphone or mobile device. Ever seen some of those websites that were made for the desktop computer screen, now squished on to the size of the tiny screen on your mobile device? Thankfully, your audience will never have to squint! A mobile visitor will see a version of your website dynamically formatted for the mobile device screen. With the ubiquity of mobile devices, it's important that you reach your audience not just on the traditional desktops but also on their mobile devices. We help you do this. Each website project gets the same care, pride of craftsmanship and attention to detail as if it were our own. ​We understand that great communication is key to a great relationship and since we wish to be in a long term relationship with you, we nurture it by great communication. We know that as a small business or startup, you need to focus your time and resources on building your business not chasing after your web guy or gal. So we are there in a jiffy, when you need us. Transformation - From the ugly to great! We will enhance your image with a modern, designer site. As we mentioned elsewhere, a well-designed, well-presented website is very important as your business’ or organization’s image rides on it. We design sites that are aesthetically pleasing, clean, uncluttered and easy to navigate. We will be there long after the project is completed. We don’t just build a great website and hand over the files to you leaving you to take care of the rest! We put the website on the web - we host the site for you. You don’t need yet another hosting company and yet another expense. Our relationship doesn’t end at that point either! The project isn't completed at the completion of the website. Need to add something to the site, down the line? Need to add to your Blog every month? Just send us the material, we will take care of it for you. Need to consult with us about some exciting third-party integration? We are only a click away when you need us.